Awesome Friday! » Blog Archive Matt's 2017 Oscar Thoughts and Predictions - Awesome Friday! 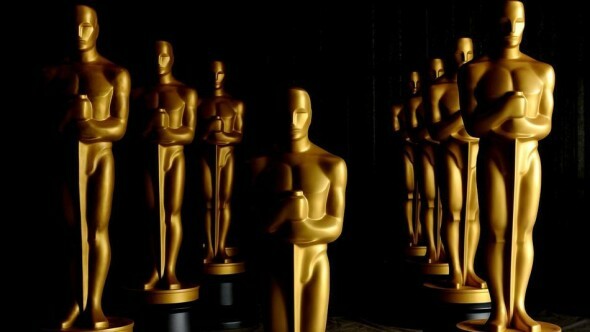 The Oscars are being held on the 26th of February. Join us on the day for our 6th annual liveblog of the ceremony! One of the categories that I never see enough of the nominees in and this year is no different. Let’s guess that Toni Erdmann will take it though, because everyone seems to love it. This year the animated feature race is as good as it has ever been. Zootopia is probably the front runner but I sincerely hope that Kubo and the Two Strings takes home the statue. They both have great messages, they’re both well acted, they’re both just gorgeous, but Kubo is the one that resonates for me, even if it’s not as much fun. I know it’s been the toast of the town but I still don’t get how O.J. : Made in America is a feature. It’s fantastic, but it’s a TV series? Anyway, 13th is fantastic and should win. There are so few chances to actually see these and as a result I have no seen any of them. I’m gonna guess The White Helmets though, since those folks do great work. I don’t see how anything other than Piper could take this. Another one I haven’t seen any of, so I don’t have a horse in this race. it’s simultaneously awesome and weird that an animated film could make it into the visual effects category, but given the blend of stop motion characters photographed against green screens to add CG backgrounds, it seems warranted. That said, the crazy world bending effects of Doctor Strange are my choice here. Rogue One has some fantastic shots too, in fact one of the best space battles I’ve seen, but I think Strange did the best integration of live action and CG of the two and that counts a bit higher for me. I hope Arrival wins because I think it should win a bunch of awards, but probably La La Land will win this (and deservedly so). La La Land again. I mean, it makes sense that the musical will win the sound awards. Everyone talks about the songs in La La Land but the score is also fantastic. First off, let’s just talk about how “I’m So Humble” from Popstar: Never Stop Never Stopping, “Drive It Like You Stole It” from Sing Street, and “Montage” from Swiss Army Man all aren’t nominated. They’re all great songs, and it would be amazing to see any of them –let alone all of them– be staged. That said, it’s gonna be one of the La La Land songs, and if it is I hope it’s “Audition”. “City of Stars” is great but Audition is not only more powerful, it’s effectively an ode to Hollywood itself and Hollywood sure does love odes to itself. This is slightly upsetting though, since it’ll put off Lin-Manuel Miranda’s Oscar by at least a year, and it’s the only one he doesn’t have (and he deserves them all). Hail, Caesar! has scenes from a musical, a water ballet, a swords and sandals epic, a western, and it s pitch perfect recreation of the 50s themselves. It’s tailor made for this category. Also, it’s a great film and deserves a win. I have no idea, La La Land because the costumes are homages to other musicals? Star Trek Beyond should win this because the makeup and hairstyling is fantastic, and because I can’t quite stand the sound of the sentence “Academy Award winning film Suicide Squad“. Then again, I haven’t seen A Man Called Ove, maybe it blows them away? Still. Star Trek, because Star Trek. Arrival, because it probably won’t win best picture, but like Mad Max: Fury Road last year could take home all the awards that let you know it was actually the best picture. Arrival again, for the same reasons, but also because it’s beautifully shot. There are so many good films this year, but I’d like to see Hell or High Water win this one because it’s hell of a movie with a hell of a screenplay. It’s also a great movie with very little chance of winning best picture, and those are the types of movies that tend to win the screenplay awards. That said, if The Lobster takes this one home I’ll be a very happy man. Let’s go with Arrival again, because it’s fantastically told. This is Viola Davis’s award to lose, right? She is but all accounts fantastic in it. Second choice would be Naomie Harris as she is just heartbreaking in Moonlight. Mahershala Ali is amazing in Moonlight and this is his to lose as well. My second choice would be Lucas Hedges in Manchester by the Sea. Casey Affleck is getting all the press, but Hedges is also fantastic. Both of their performances as men working through their grief are essential. This category is stacked with 4 amazing nominees but for once I wish the Academy would suspend their “we must nominate Meryl Streep if she was in a movie” by-law. There’s no excuse for her to be in this category and for Amy Adams to not be. Florence Foster Jenkins quality is debatable, but Arrival is a straight up masterpiece and that’s largely due to Adams performance. At the end of the day though, Emma Stone should win this. She’s transcendant in La La Land, and I’m not sure the movie would be as good without her in it. Second choice would be Natalie Portman, who perfectly captures not only Jackie Kennedy but also a woman trying to impose order on a world made chaos. She is stunning. Another tough one. Casey Affleck won the Golden Globe, but Denzel won the SAG Award. I loved Ryan Gosling in La La Land, but it feels like despite his Golden Globe he doesn’t quite have the momentum behind him to win. I’d actually really like to see Viggo Mortensen take it home for Captain Fantastic though. His performance is both bold and subtle, and it’s great to see a small scale picture get nominated among all the studio campaigning. Casey Affleck is my second choice though. His performance is raw, and gut wrenching, and real. Another tough one. Of the four good choices there is case to be made for each one. For a start, they’re all masterpieces in their own rights. The smartest and most heartfelt SciFi in years, a treatise on grief and guilt, an homage to the musicals of old, and an examination of what it’s like to be black and queer in the American south. I think that Damien Chazelle might win this one, but I hope that Barry Jenkins does. I just called four films masterpieces, but Moonlight is a nearly perfectly crafted masterpiece. La La Land is a great movie that speaks to Hollywood, but Moonlight is by far the more important film, and Barry Jenkins wastes not a single frame in telling it’s story. Much of what I just said about the director choices applies here as well. La La Land may well win the day, but Moonlight is the more deserving film. It’s perfectly crafted, and it’s an examination of what it means to be black and queer in American society. Beautiful and heartbreaking and affirming all at once, Moonlight is the film that should win best picture, and I say this as a person who loved La La Land.